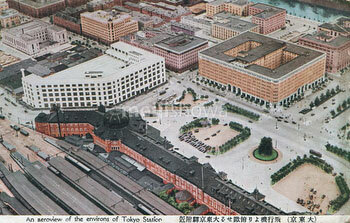 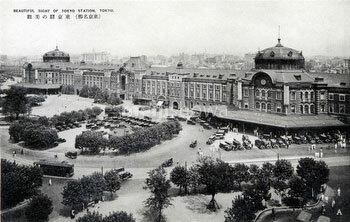 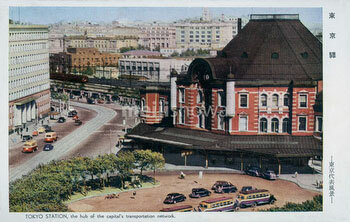 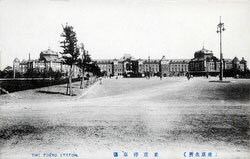 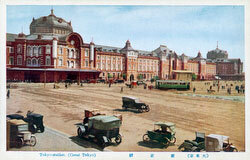 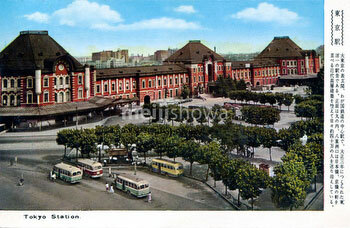 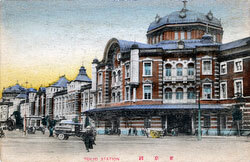 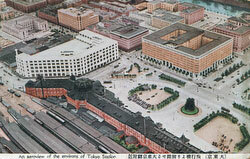 On December 18, 1914 (Taisho 3), Tokyo Station was completed as a terminal station of the Tokaido Main Line, a role that Shinbashi Station had played since 1872 (Meiji 5). 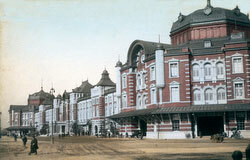 Two days later, the station was opened. Located in the Marunouchi business district of Tokyo, near the Imperial Palace grounds and the Ginza commercial district, the building was designed by architect Kingo Tatsuno (辰野金吾, 1854–1919) to celebrate Japan’s victory in the Russo-Japanese War. 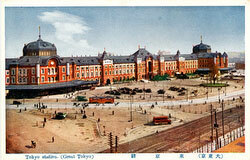 He patterned the domes, destroyed during the firebombings of 1945 (Showa 20), after Amsterdam’s central station. 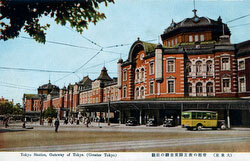 In 1921 (Taisho 10), Prime Minister Takashi Hara was assassinated here.